PCS Web Design - Has your web person gone AWOL? It's the professional details, such as providing a custom error page, that show your potential customers that you value their time. Has your web person gone AWOL? 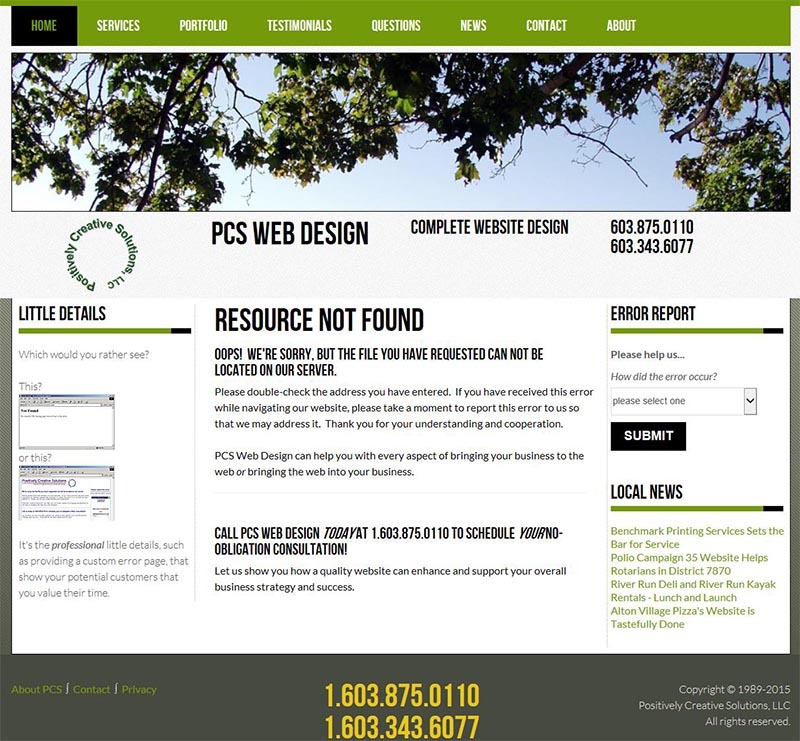 PCS Web Design can help you through a rough patch or work with you regularly. Do you need to add something quickly or fix some typographical errors? Do you have content that needs to be updated on an ongoing basis? Is something seriously wrong that needs to be addressed ASAP? Do you want to enhance your website's capabilities over time? Are you being bombarded with unwanted e-mails from your website? PCS Web Design can help you with every aspect of bringing your business to the web or bringing the web into your business. We're here to help you get the most out of today's technology!